Recently MVRDV has won the competition for the Taipei Twin Towers, MVRDV’s bold and ambitious design for the Taipei Twin Towers has been selected to revitalize the central station area of Taipei. The aim of the project is to provide a vibrant and charismatic destination that re-establishes the central station area of Taipei as the city’s premier location for shopping, working, and tourism—a Times Square for Taiwan. You can find more information on the project on our website. In order to manage this project, we are currently looking for a Senior Project Architect with highrise experience. A highly dynamic, internationally orientated and creative office with many enthusiastic colleagues that work on projects on different scales all over the world. Salary according to collective work agreement (CAO Architecten). MVRDV is a globally operating firm with a team of more than 220 employees, dedicated to innovative architecture and urban design. It was founded in 1993, has its headquarters in Rotterdam and subsidiaries in Shanghai and Paris. MVRDV is an equal opportunity employer. We are committed to treating all employees and applicants equally, regardless of gender or marital status, race or color, nationality or ethnic origin, religion or religious belief, sexual orientation, disability or age. Please fill in the online form and upload your motivation letter, CV, recommendation and portfolio preferably as PDF not larger than 5mb. Let us know your preferred starting date. If you do not fill in the application form, we cannot consider your application. 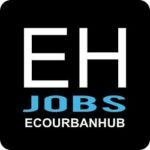 Browse through our listed jobs to make the first step towards your eco career or post your own job offers. © ECOURBANHUB. All Rights Reserved.